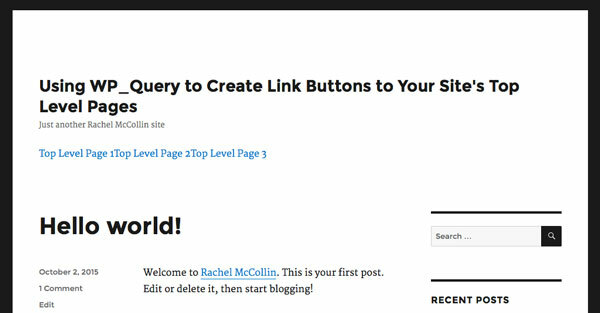 If you followed my previous tutorial, you'll now have a theme on your site (or a child theme) which includes links to your top-level pages in the site header. In this tutorial I'll show you how to add some CSS to your theme to make those links a bit nicer. Let's start by getting rid of the bullets and adding floats. Open your theme's stylesheet. If you created a child theme it will be empty, but if you're working with your own theme I suggest you add this styling in the part of your stylesheet where you keep styling for the header. This means we're targeting a ul element with the top-level-page-links class and within that, li elements with the page-link class followed by a elements (i.e. links). Next, let's move on to making the links look a bit more like buttons. 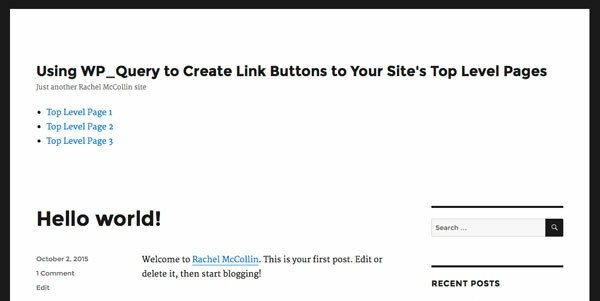 To make our links look like buttons, we'll add a margin, padding and a background to the links. Note that I've only used a margin on the right as I want the left-hand button to align to the left of the page. They're looking much better but need a bit of finesse. Let's edit the color of the text and background so that when someone hovers over the button, it changes color. Now let's make those buttons a bit more attractive. This changes the color of the links, removes the underline, and changes the color when someone hovers over a link or it's active. 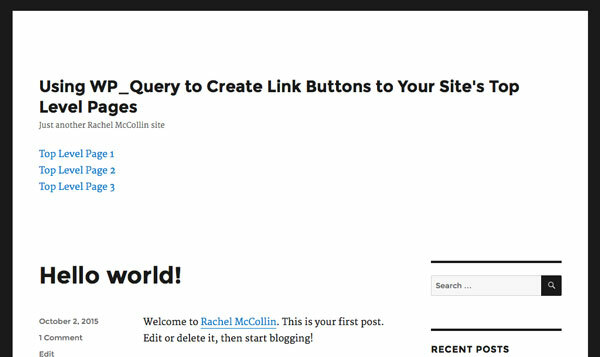 In this two-part tutorial, you've learned how to create links to your site's top-level pages which are automatically generated, and then to style those links using CSS so they look like buttons. This gives you a nice, prominent way to let your visitors go straight to those pages, and will be useful if you have top-level pages you want to ensure plenty of visitors can access.